DISCLAIMER: I am operating here slightly in the blind as manufacturers do not announce replacements typically for products until after the holiday season at the Consumer Electronics Show the first part of January. But I will take a stab at helping to navigate the obvious areas where a new version is probably due. The big questions I get asked a lot about is Apple gear, so let me sort through that for you a bit. iPod Nano and Touch - These both saw recent updates and are probably safe bets as a product that will not get obsoleted in the next 6 months or more. I really like the iPod Nano (starting at $123) for those active people in your life and the iPod Touch ($199+) for your friends that enjoy a range of media and entertainment options. iPod Shuffle and Classic - Unless you have a specific reason why you'd be getting one, I would avoid these older versions. The Nano is roughly the same size as a Shuffle but offers a lot more functionality and the Classic is totally outclassed by the Touch. iPhone - The iPhone 4s (price varies) is a great phone and I just don't see Apple racing to a larger, more costly, bigger display version until late 2012 at the earliest. iPad - This is the product I would not get if it was me. All indications are that a new version is in the works for a spring introduction. The original iPad was launched in April of 2009 with the iPad2's introduction 11 months later in March of 2010. All the noise continues to center around an annual update of the iPad ($499+). What makes the new device worth waiting for? I hate to continue to propagate the rumors on the web but I'd imagine a beefier CPU, better cameras and higher resolution monitor to make characters on the screen easier to read. I would love a version with additional storage capacity 128GB would be awesome but with Apple's usual design practices and them talking up Cloud storage...I wouldn't be surprised if they stick to the 64GB maximum. Macbook Air - Lot's of noise around an update to this very slim portable, including a potential new 15" version. I love my Macbook Air (less than $1,000) but new CPU and configuration options are due. Most other Macintosh laptops and iMacs are looking good. Apple TV - I really like this cool little hockey puck sized device for streaming your Apple content to a TV. 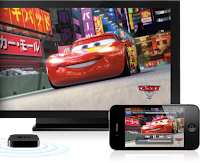 Apple's Airplay feature that seamlessly allows you to share your content between handheld devices like the iPod Touch, iPhone and iPad through the Apple TV ($99) and onto your television is a great thing. But like I mentioned in my recent 2011 Holiday Video Gear Wish List, this product is best for the Apple-friendly home. If you are running Android or other OS-based mobile devices, the limitations on types of files supported can get frustrating. As for BUY or WAIT? This is a tough category to judge. Apple have a newer CPU already in the iPhone 4s and could release a new version next year with true 1080p resolution and enhanced connectivity options. And if I had to guess, they will probably wait til their holiday line-up changes which would put this on the plan for upgrade in September of next year. There is also rumored an Apple flat-panel TV in development and the Apple TV as we know it might become integrated in their future televisions but that is probably a year or two away. I am leaning toward it being a BUY for this holiday season. The big thing in the PC camp is Windows 8. 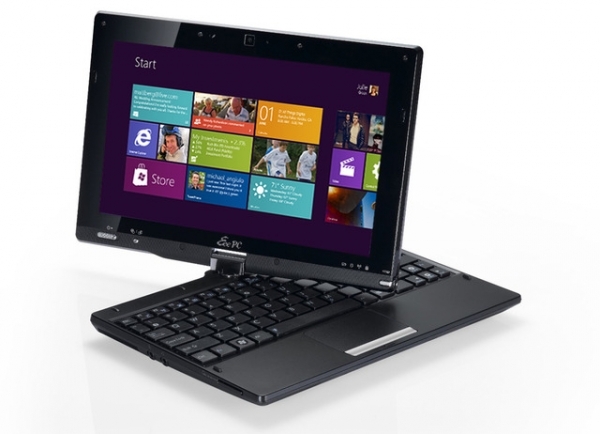 While Windows 7 has really helped repair consumer goodwill after the quality challenges of Vista, Windows 8 will bring more mobility and connectivity to the platform. The biggest consumer additions will be the reinvention of the user interface and the App Store that makes it easy to get the latest and greatest applications. If you need a new laptop, go ahead and BUY one but if you can WAIT...there will probably be a lot of innovation in this category over the next year. Tablets - As I mentioned above, I would wait for the next iteration of the iPad. I still do not recommend any other tablet in the marketplace. The Android marketplace for tablets is minuscule and just not that thrilling. There is a new version of Android entering the marketplace and we can wait to see how they pan out. I will be doing a review on the Asus Transformer quad-core tablet in the coming weeks and will keep you in the loop. 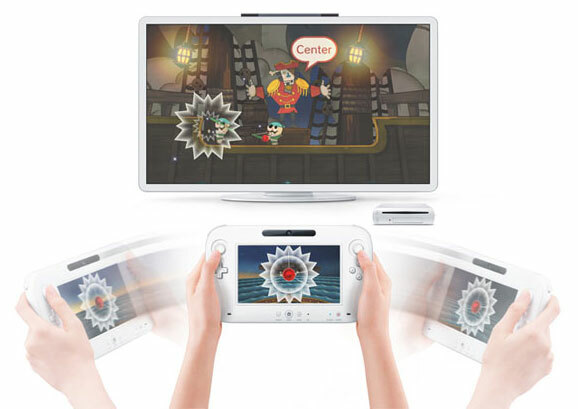 Nintendo Wii - I would really avoid buying this gaming platform. Games for your current Wii are fine but the Wii is on it's last legs and there is the new Nintendo Wii U coming out next year. The final details of the Wii U will be announced before or at the videogame tradeshow E3 the first week of June. Nintendo 3DS - This is a new product that just launched earlier this year. The Nintendo 3DS (under $200) features a 3D display, a very nice library of quality Nintendo titles and online connectivity making it a great portable gaming platform. Sony PSPgo - This is the obsolete Sony handheld system. The new Playstation Vita can be preordered for $249 and is due to be released the last week of February. This looks like a nice update but I'll be posting a review in the coming months on how it ultimately turned out. 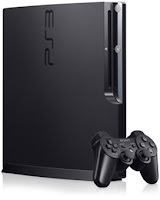 Sony Playstation 3 - I would hope by now you have a Playstation 3 or Xbox 360. The platform delivers some incredible visuals as it is today and should be viable for years to come. But there are rumors that the 5 year old device will get an overhaul in the next couple years. I doubt it will come out next year and what capabilities beyond an even more capable multi-core processor, more memory and a snazzy graphics system the console will feature is beyond me. The Move controllers that came out last year did not set the world on fire so Sony needs some innovation in the player user interface area. I would imagine we could get more details potentially at next year's E3 or the Tokyo Game Show at the end of 2012. While Sony really needs to revitalize their gaming console, they traditionally like to milk the current system for as long as possible. 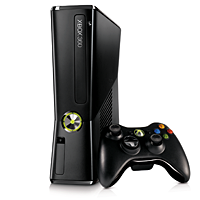 Microsoft Xbox 360 - Similar to the PS3, the games coming out on the Xbox 360 are stunning but talk persists that a new platform is in the works. While there are rumors of a CES 2012 announcement, I would be surprised if it showed up there. I would expect the device to really leverage an all-new Kinect with better recognition capabilities like hand gestures. I would expect this product won't be out until 2013 at the earliest BUT Microsoft will want to get the jump on Sony again if possible. Canon S95 - I mention this camera a great deal as my favorite pocket camera and the S100 was suppose to have shipped by the holidays except for some delays in manufacturing due to the flooding in Thailand. The Canon S100 is slowing getting into the marketplace. 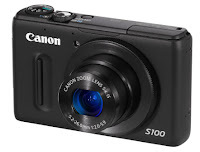 Based on my experience with the S100, I would suggest getting this amazing point-n-shoot even if it doesn't arrive until after the holidays. Canon DSLR cameras - On the silly high-end, Canon just announced the EOS-1Dx professional camera will be available in March 2012. 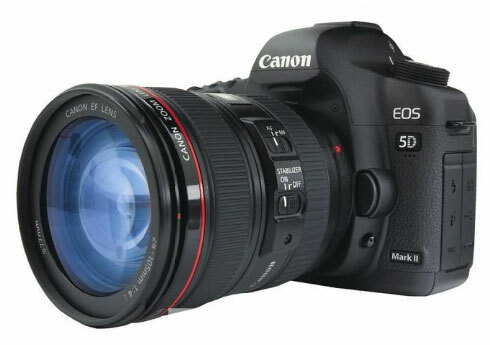 The venerable Canon 5D Mark II is in need of updating and I can only assume it will get some much needed attention in 2012. The very nicely priced Canon EOS T3i and potentially the 7D are looking like they will get upgrades in the spring. 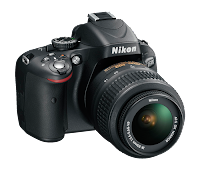 Nikon DSLR cameras - I would not be getting a D90, D300s or D700. The D3000 and D5000 really filed the gap left behind when Nikon did not update the D90. Those cameras have seen their own upgrade to the D3100 and D5100 for the holiday season. I really like the Nikon D5100 for those of you looking to start out with a quality DSLR. Be sure to get the updated versions, I still see the older models available in some retailer ads. The D800 is rumored to be close to launch, replacing the D700. Point-n-Shoot cameras - Most point and shoot camera updates are announced at CES or the ImagingUSA show in January. These product announcements are typically timed to launch the product later that next year. Some recent introductions I do like include Canon's PowerShot SX40 HS and the SX230 HS. There are some new and exciting products available this holiday season and as you can see there are some great products on the horizon. Again, the key here is knowing what you are getting. All of these products are on my WouldntMind.com favorites list, you wouldn't go wrong with any of them BUT if you want the latest and greatest...some of these are candidate to wait for a few months if you can. We will also be covering CES this year and will report back on the exciting new "WouldntMind.com" material for your consideration in January. I have also posted a write-up on WouldntMind.com: Great Holiday Gifts for Cool People You Know, WouldntMind.com Holiday Gifts for Good Little Boys and Girls and a WouldntMind.com: 2011 Holiday Video Gear Wish List.